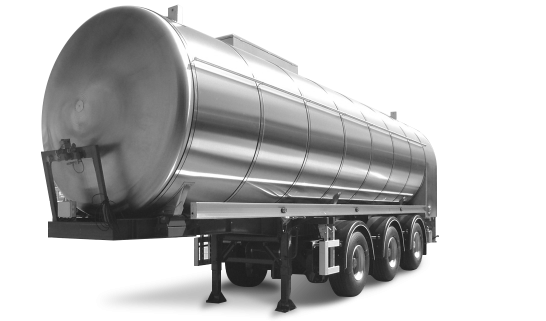 Kuipers Woudsend is a producer of high-grade stainless steel products for the dairy and food processing industry, the pharmaceutic industry, (petro)chemistry, the road transport, offshore (oil and gas), construction and dry dock and shipbuilding industries. Kuipers Woudsend has been a committed, dependable and leading producer of high-grade stainless steel products for the process and dairy industry for over 50 years. For the pharmaceutic industry we produce products like: high-grade precision process-equipment. For the (petro) chemical industry produce products like: reactors, pressure vessels, paint mixing tanks (spherical), scrubbers and heat exchangers. For co-creatorship to be successful it is essential for the partners to have a good working relationship and that they bring their respective developing expertise. Kuipers Woudsend produces custom parts or assemblies based on production drawings supplied by the client. Depending on the client’s wishes, Kuipers Woudsend produces single products (parts) for one client and an entire process installation integrated with controls for another. Kuipers Woudsend’s strengths stand out because right from the design phase on we take full responsibility for the various stages in the production process; detailed design, procurement, quality/testing by NoBo, transport and installation. Throughout the project you will be kept up to date by your very own project leader at Kuipers Woudsend. Over 50 years of experiencein stainless steel total solutions. Knowledge, experience, craftsmanship, an efficient organisation and a client-focused approach: Kuipers Woudsend has been a renowned supplier of high-quality stainless steel products for the process and dairy industry for over 50 years. Copyright © 2019	Kuipers Woudsend BV all rights reserved.